Vijay joined Rotork in October 2018 as Strategy and Mergers & Acquisitions (M&A) Director. 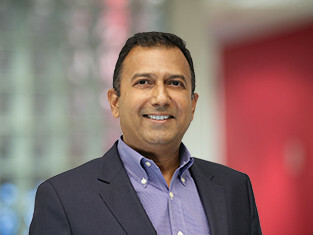 With an experienced background in strategy, M&A, marketing and technology, Vijay has worked around the world in both public companies and entrepreneurial environments. He has held roles in several sectors including Industrial Automation, Engineering & Technology, Oil & Gas, Process and Water and Wastewater. More recently, Vijay was Vice President, Corporate Development at Honeywell where he was involved in several M&A transactions. Prior to Honeywell, he was in Strategic Marketing & Business Development at Danaher Corporation and IDEX Corporation.